Move to create 400 new jobs in suburban Detroit. 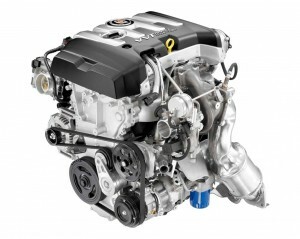 GM is betting the consolidation will help speed to market new powertrains, such as the turbo 2.0-liter Cadillac engine shown here. General Motors is consolidating its far-flung engine and transmission operations in the Detroit suburb of Pontiac, and backing the move with a $200 million investment at its Global Powertrain Engineering Headquarters. The move, which will create 400 new jobs in the Motor City, is part of a broader $1.5 billion effort to rejuvenate its operations in the US. Earlier this week, GM announced plans to invest $600 million at its massive Fairfax assembly plant in Kansas. At the Global Powertrain Engineering center, the money will be used to build a new 138,000 sq.-ft. test wing, which is expected to be completed during the second half of 2014 and lead to the elimination of four leased buildings in three states. 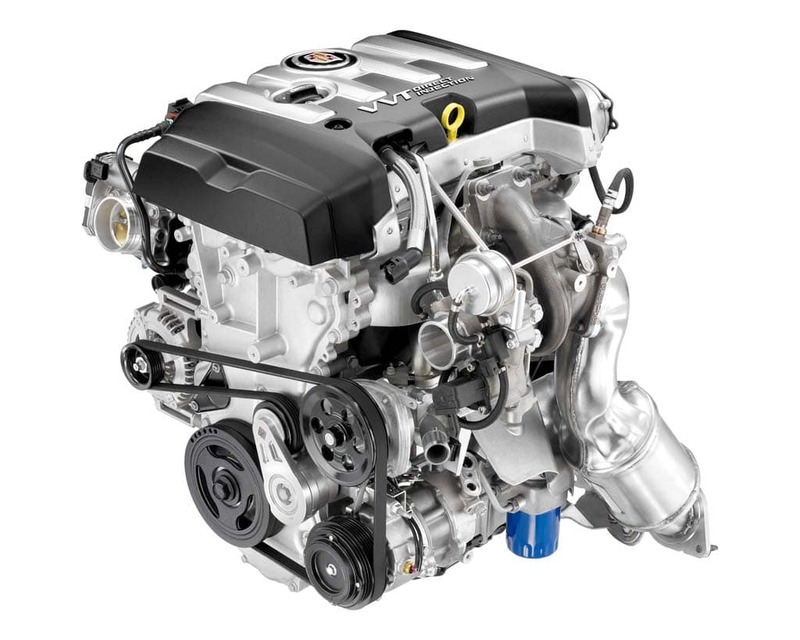 “These moves will help our entire Powertrain team work more effectively across the organization to develop the powertrain technologies we need to build the world’s best vehicles for our customers around the world,” said Sam Winegarden, GM vice president of Global Engine Engineering. Dart reveals its mean streak. 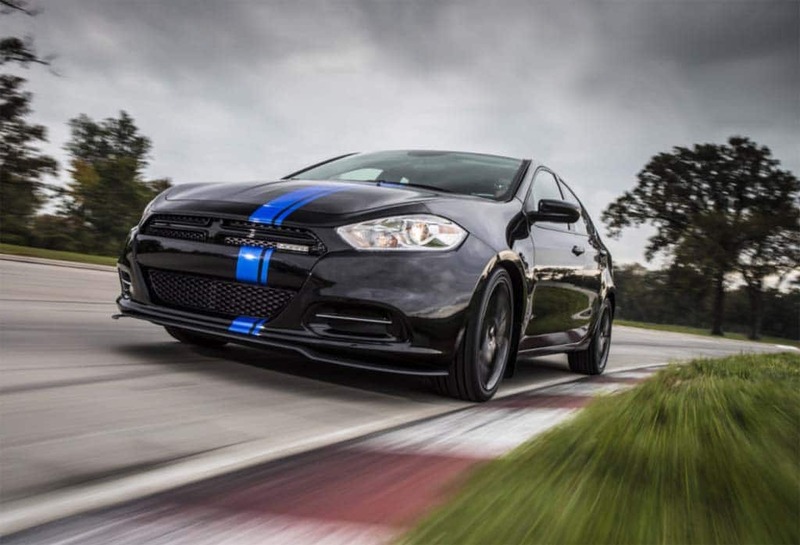 Only 500 copies of the Mopar '13 Dart will be built. Long known as Chrysler’s parts division, Mopar is now giving the maker’s more established car brands a little competition, the all-new Mopar ’13 Dart set to make its debut at next month’s Chicago Auto Show. It follows the limited-edition models that Mopar released over the last three years, starting with the Mopar ’10 Challenger, the Mopar ’11 Charger and the Mopar ’12 300. The Mopar edition Dart will, like the earlier offerings, be produced in limited numbers, just 500 copies. Each will be finished with a gloss black paint job, with matching black 18-inch wheels. There’ll be some subtle aerodynamic tweaks, including front and rear spoilers and an air diffuser in back. A bold blue racing stripe will complement the blue interior stitching. The driver’s seat will be done up in blue, as well, with leather for the passengers. The cabin will be completed with gloss black and black chrome trim and a sport aluminum pedal kit. The car will also feature Mopar’s new wireless smartphone charging system. China poses problems for Japanese maker. 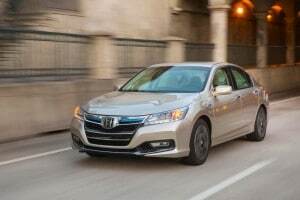 Demand for the new Honda Accord helped boost the maker's global earnings last quarter. 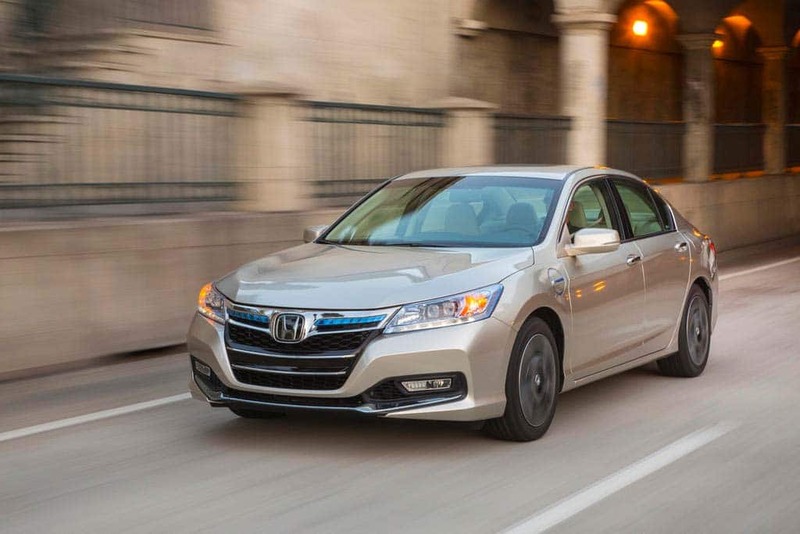 Honda Motor Co. saw a nearly 63% surge in earnings for the October – December quarter, but the maker also issued a warning that earnings could take a tumble in the months ahead because of problems in China, now the world’s largest automotive market. The Tokyo-based maker earned 77.4 billion yen, or $850 billion during its fiscal third quarter. That was, however, well off the 104.95 billion yen forecast of 11 analysts surveyed by the Nikkei Quick index. Quarterly sales rose about 25%, to 2.4 trillion yen, or $26 billion. That increase reflected the maker’s recovery from the production shortages caused the prior year by Japan’s massive earthquake and tsunami. Demand was particularly strong in the North American market. But it also fell short in China as a result of that country’s ongoing dispute with Japan over the ownership of a chain of small, uninhabited islands in the East China Sea. Maker expects to introduce 47 new or refreshed models over next four years. A US version of the Alfa Romeo 4C will be one of the 47 new products coming from Fiat/Chrysler. The only domestic automaker to gain market share in 2012, Chrysler is betting it will need a new product blitz to keep its momentum going. And it has plenty of new cars, trucks and crossovers on the drawing board – 47 all-new or significantly refreshed models coming to market over the next four years, according to CEO Sergio Marchionne, including six from the Italian Alfa Romeo brand which is scheduled to make its return to the U.S. market late in 2013. Maker claims critics “over-think” issue. Don't worry, be happy. A scene from the VW ad. Volkswagen says there will be “no change” in its plan to air a controversial Super Bowl in which everyone in an office starts speaking in a Jamaican accent. The ad came under fire when the German maker released a sneak preview earlier this week, critics calling it racist. But the spot, which is performed to the tune, “C’mon, Get Happy,” by Jamaican singer Jimmy Cliff, has also generated a wide range of support. Avoid small cars, according to new study. The Fiat 500 fares poorly in new safety study. There was once an old adage in the auto industry, “safety doesn’t sell.” Don’t try to convince today’s motorists. Safety has, in fact, become one of the highest-ranked attributes for most car shoppers, whether they’re looking for a minivan or sports car. So, a new study by Insure.com is likely to deliver more than a few surprises when it comes to listing the safest and least safe among 750 different vehicles now on the market. Some of the results might seem intuitive, especially to those who equate size with safety. 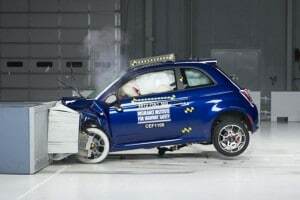 The pint-sized Fiat 500 is the least-safe vehicle on the list, according to the study which was produced by Insure.com in cooperation with the Insurance Institute for Highway Safety. On the other hand, the GMC Sierra 1500 pickup was the top-ranked model. Maker also bringing “Superman” Optima to Chicago show. Kia offers a hint of the Cross GT concept. Auto show season is well underway and makers are rolling out a string of new models and concepts as they look to both update existing product lines and find ways to attack the proverbial white spaces they’ve so far ignored. Considering ongoing market trends, it’s probably no surprise we’re seeing so many products that slip into the nebulous crossover category. The recent North American International Auto Show in Detroit was full of them and we’ll be seeing still more before the show season wraps up. 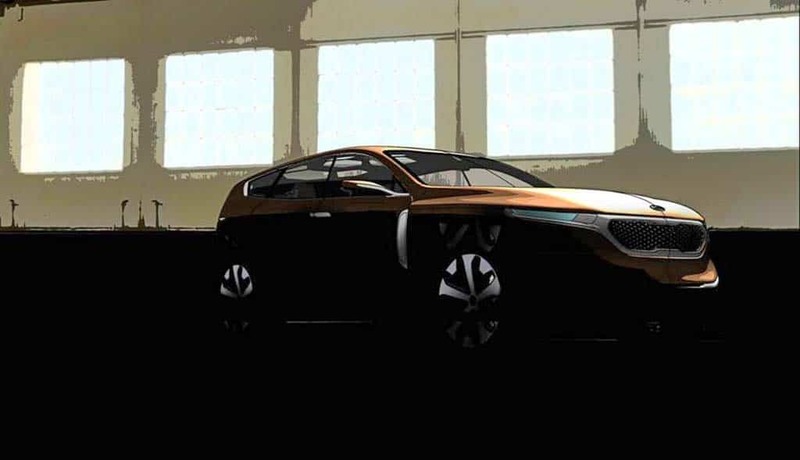 That includes a new “premium” crossover-utility vehicle from Korea, the Kia Cross GT scheduled to make its debut at the Chicago Auto Show in little more than a week. 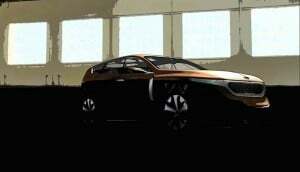 The maker has released a first teaser image of what it confirms will be larger than the current 2014 Sorrento. It brings to mind the size gap between the 2- and 3-row versions of the Santa Fe launched this year by sibling maker Hyundai. Average hourly worker to receive $8,300. 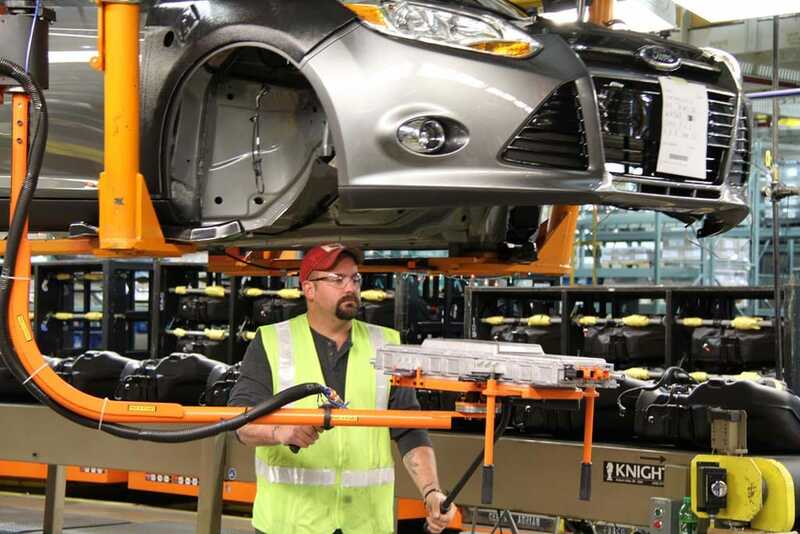 A worker at the Ford plant in Wayne, Michigan assembling a new Focus sedan. Ford Motor Co.’s U.S. workers will share in the company’s strong 2012 performance, each union employee receiving, on average, an $8.300 profit-sharing bonus. That’s the single-largest profit-sharing payout from any domestic automaker since the United Auto Workers Union introduced the program as a trade-out for concessions during 1983 contract negotiations. The profit-sharing program is tied to Ford’s earnings in North America where it reported a pre-tax profit of $8.3 billion for 2012. The maker meanwhile reported it earned $1.7 billion before taxes during the fourth quarter, Ford’s best figure for the three-month period in more than a decade. However, net income for all of 2012 declined $307 million, excluding special charges, to $5.7 billion. Only domestic maker to gain market share in 2012. 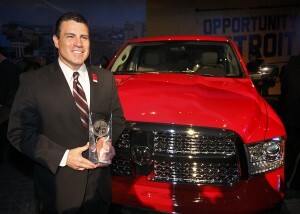 General Manager Fred Diaz with the Ram 1500 pickup, recently named North American Truck of the Year. Offering up another sign of its ongoing recovery, Chrysler reported 2012 earnings jump nearly nine-fold, to $1.66 billion, while the maker’s fourth-quarter profit was up 68%, to $378 million. The news reflects a sharp increase in sales and revenues – Chrysler being the only one of Detroit’s Big Three automakers to gain market share in 2012. “We pause for a moment to enjoy our accomplishments, but we will not stop,” Sergio Marchionne, CEO of both Chrysler and its Italian alliance partner Fiat, said in a statement. Marchionne pointed to soaring demand for key products such as the Jeep Grand Cherokee and the new 2013 Ram 1500, the pickup getting another boost earlier this month when it was named North American Truck of the Year by a jury of 49 U.S. and Canadian journalists. Separate safety actions involve defective airbags, faulty wipers. 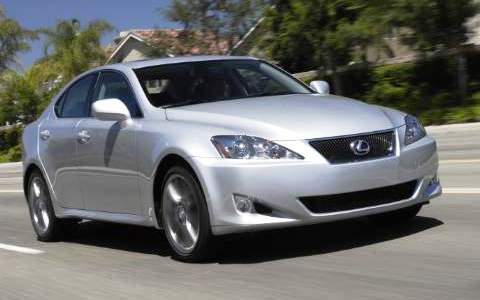 The Lexus IS is targeted by one of two new Toyota recalls, the other affecting the Corolla. Toyota says it is recalling a total of more than 1 million vehicles, including some late-model luxury cars, due to a pair of safety problems involving defective airbags and faulty windshield wipers. The announcement comes during the same week the maker confirmed it regained its title in 2012 as the world’s best-selling automotive manufacturer. But Toyota also had more vehicles recalled than any other automaker operating in the U.S. last year – the third time it has captured that dubious distinction in four years. The new recall involves about 752,000 Corolla and Corolla Matrix cars sold in 2003 and 2004. According to Toyota, a control module is susceptible to short-circuiting. If that happens, it could cause their airbags and front seat pre-tensioners to inadvertently deploy.